TRANSLUCENT BALTIC AMBER NUGGET NECKLACES. FEATURING BRILLIANT HONEY COLOR ORGANIC SHAPE NUGGETS. 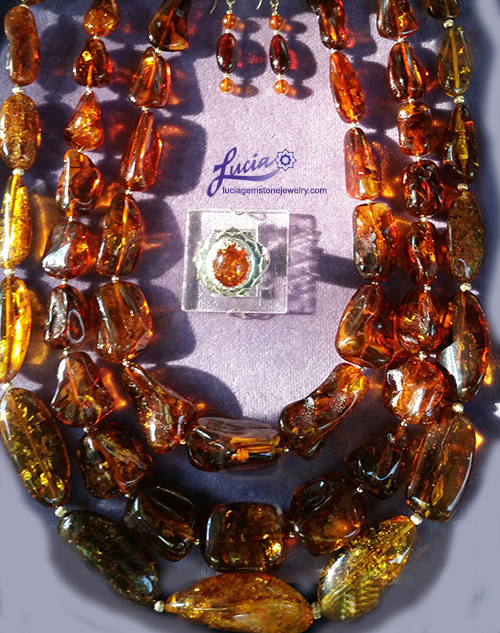 THIS AMBER COMES FROM THE BALTIC SEA REGION OF RUSSIA.